Is it wise to invest in gold? Liquidity factor: Gold can be converted to cash anywhere in the world. It is the only investment instrument where there is immediate availability of cash. The benefit of hedging: Gold is the only investment that holds a direct relationship to inflation. During the period of inflation, the value of gold shoots up. Has a long-time value: Gold holds an intrinsic value over a period of time; there will be little or no change to its underlying value as it has a physical form, so it remains a steady and favored investment in all times. Desired commodity: Gold always has been a favorite merchandise for both men and women alike. Gold is used as jewelry and in attires for many ages. It is also a desired investment for a country to maintain its reserves as it is not a part of any political chaos and also signifies the wealthiness of the country. Diversification: Gold can be used as diversification in equity or debt portfolio of an investor. Many Gold Equity Traded Funds and Bonds help in diversification of risk for an investor. As gold often moves inversely in the securities market and currency values, gold provides an efficient way to diversify. 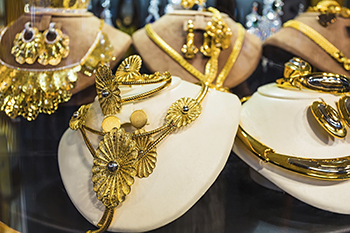 Gold is not only used for jewelry making, but it also has diverse applications in the industrial sector ranging from aviation to other industries such communications and so on. These factors make the value of gold to rise and stay stable for more extended periods due to the demand for the product. A regular source of income: Unlike other investments, gold is not a passive investment, where there are returns even the investment is not at work. Passive investments earn profits such as dividend and another regular source of income, whereas the value of gold is only realized when it is sold on the open market. Price correction: Sometimes, due to panic, the value of gold shoots up, and investors rush to invest in them. Once the mass hysteria calms down, the value of gold corrects itself, thereby leading to substantial losses for the investors. Storage issues: Gold is a physical asset that needs to be stored and guarded as it is of high value, unlike other securities that exist in the form of paper and has an inclusion of security protocols to the investment. This factor of storage and safety is a huge minus in the investment of gold. Returns factor: Many experts are of the opinion that gold only matters when there is a currency devaluation or a strong inflationary circumstance happening in the market, and they feel that the value of gold is unpredictable, hence it is not a prudential investment. To invest or not to invest: Gold is a profitable investment when all other investment crashes. It is also means of diversification for the investment portfolio. Like any other investment, gold also has its share of advantages and disadvantages. The investors looking to invest in the gold should consider its pros and cons before investing as there are other ways to invest in gold such as Bonds, Gold Equity Traded Funds and so on. The investor has to make a conscious and well-informed decision before investing in gold.